As anyone who enjoys paper crafting knows, the scrap box fills up fast. So I decided to try to make a dent in the pile by making a birthday card. I worked on this one as the Spurs were beating the Lakers! Woo! 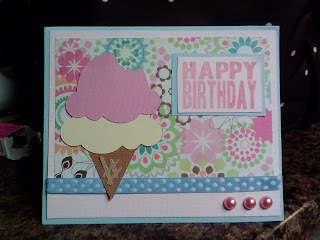 I used Simply Charmed for the ice cream cone, and like I said, it's all scraps! 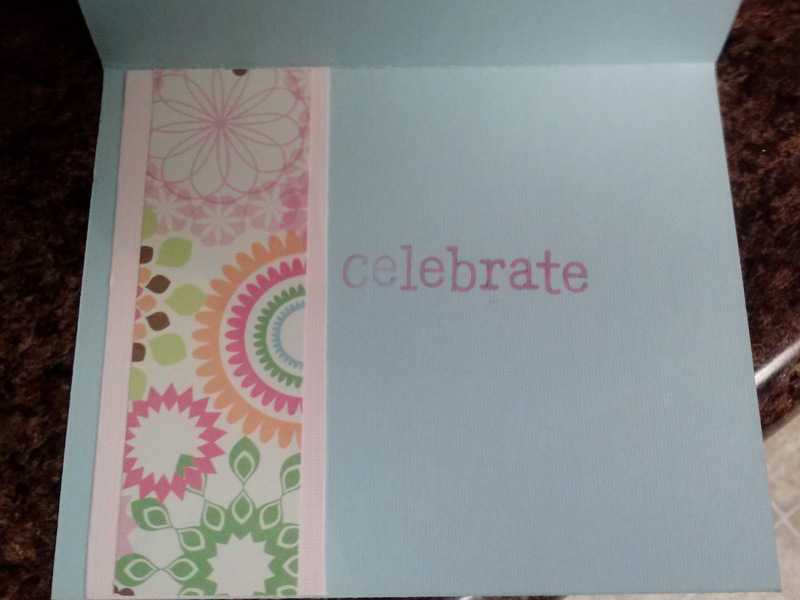 The patterned paper is from Hobby Lobby, and the rest is Recollections. 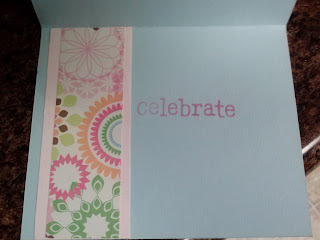 It was super simple, and I'm glad I didn't let pretty patterned paper go to waste. Like th4e scooped ice cream card. Had some new flavor Bluebell Pumpkin Spice Pecan ice cream today that is tasty. 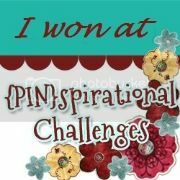 Thanks for entering Pause Dream Enjoy Food & Beverage challenge. Lovely Card...Thanks for joining at Pennys. Evelyn: Your card is so wonderful! Isn't this a fun way to use your stash! Thanks for joining in our "Use Your Stash - Challenge #26" at Simply Create Too. Your card looks almost good enough to eat! LOVE that big double-scoop ice cream cone, and your papers are just as delicious. Great way to use your scraps! Thank you for joining us at Tuesday Alchemy! Mmmm! Adorable card, I love that cone! So happy to see you use up all that scraps, and with such wonderful results. :) Thank you so much for joining in on our birthday challenge this week at Raise The Bar! Love the soft colors. Thanks for playing along with us @ PDEC. Super cute!!!! Congrats on using up some of those scraps! I'm glad someone else is loving this challenge too! I need to use up more, however! Thanks for joining us this week at HIMCR!